~ Always learning. Always progressing. In (500) Days of Summer, a movie in my all time top 10, a story of boy meets girl begins on January 8. Hopeless romantic greeting card writer Tom sees the new assistant Summer and falls into a moody love at first sight. However, as the narrator informs us in the film’s introduction, this boy meets girl story is not a love story. The romantic comedy shows us a couple effects of falling into a Summer Daze. A sweet boy meets girl beginning does not always have a happy ending. Watching Tom notice and pine after Summer has its sappy appeal. It gets even better when they ride the elevator together and Summer tells Tom she also likes The Smiths when she overhears his music. Once they finally start spending more time together and Tom feels like he’s grasping his dream girl, Summer communicates her intention to not have a serious relationship. Tom agrees, holding out hope that she changes her mind. People often fall into this trap in real life. Tom has the facts and chooses to continue spending time with Summer at his own risk, knowing she does not reciprocate his intentions or desire. The meet cute always holds the most potential. When Summer and Tom first see each other, they do not know each other’s details yet. This time holds the most potential as they do not know of any reason not to pursue interest; the fantasy realm hasn’t shattered the hope that the other can fulfill the dream. Tom falls into a deeper level of interest in Summer once he learns that she too loves one of his favorite bands. He finds a detail that keeps his interest and increases their compatibility. This gives him reason to pursue more knowledge and to see if their values and relationship perspective might mesh as well, a more important factor to consider that he later ignores much to his detriment. A relationship, failed or successful, shows the individuals who they are. Summer finally opens up to love and accepts a serious relationship, and marriage, after she splits from Tom. Spending time with Tom helps her see a new possibility as she learns to trust others, beginning with her friendship with Tom. Tom experiences tremendous heartache, but he eventually channels his energy into developing his architecture skill to pursue his career field again. He chooses to select his own direction rather than stay in his current situation simply because life has unfolded that way. He too takes another chance on love as he awaits his opportunity to interview for his dream job. Hopefully this time he knows a little better how to navigate communication and intentions. Today we see January 8 on the calendar. Maybe we don’t have a boy meets girl experience today. We can still consider the knowledge we have and use that to navigate our direction and choices, whether we understand the information the first time or after we fall. The best potential comes after the Summer Daze fades. 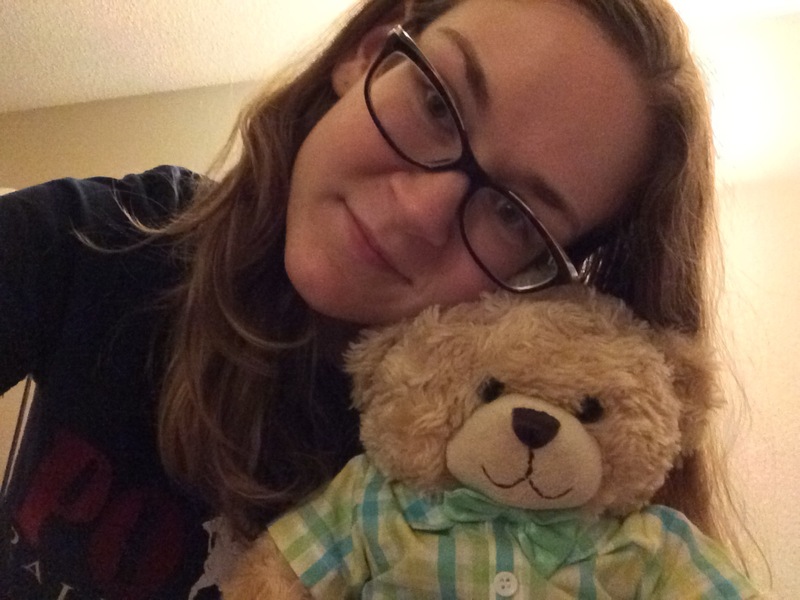 Through Dialectical Behavior Therapy (DBT), I have learned the importance of not identifying myself with an emotion. Just because I am sad doesn’t mean I’m a sad person. It may sound strange, but I can take on extra weight by taking on these emotions and their associations. Tonight I have realized the same concept applies to not identifying with sin in my life. It becomes easy to turn my sin into a noun that describes myself. I’ve told a lie in the past; liar must suit me as a title. The same can go for numerous other negative descriptions. Yet only the enemy wants me to believe that; taking on the lie leads me to avoid God. It makes me carry the weight of the sin and take on the burden of negative titles. God doesn’t want that for me, and it is not how He sees me. If I confess to Him rather than avoid Him and insist upon carrying my own burden, He will take it all away. As He reminds me in Isaiah 1:18, He will wash my sins white as snow. That means they’re gone. He won’t remind me of them, and I have nothing left to remind me of them either. Now I will sin again of course, just like I will inevitably feel sad or angry again. I just need to remember that I am a blessed child that is always accepted and always has her Father to whom she can turn. His son has already died to take the burden of my sins, so I do not need to carry them. My identity does not come from my sin or emotion but from my relationship with God. That will never change. 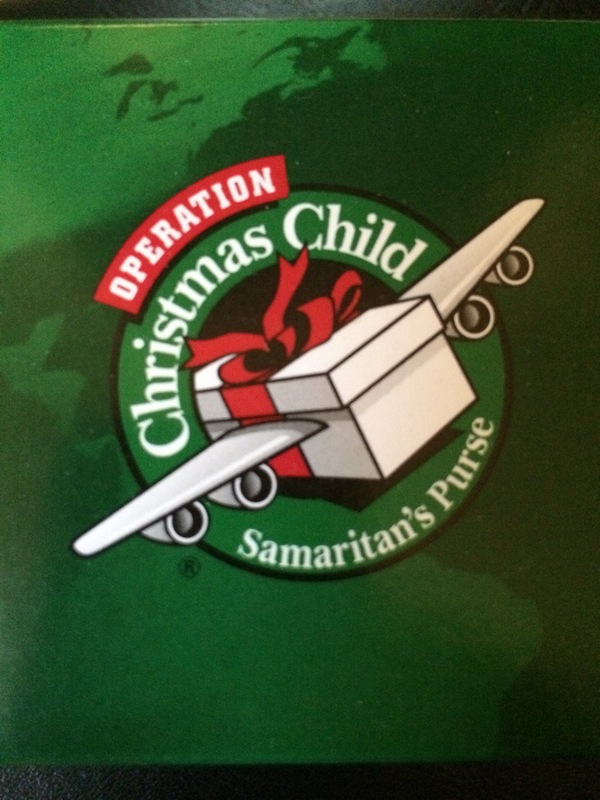 Operation Christmas Child’s National Collection Week starts tomorrow. This poem prays for the children around the world who will receive shoebox gifts and a message about Jesus Christ, the greatest gift of all. Visit the Samaritan’s Purse page to learn more about how you can touch a life with God’s love. You can't make advances if you don't take chances. These posts share my perspectives of my journey as I step forward, walking in the Light.